I am having such fun practicing with my Copic markers. Today's card was inspired by a YouTube video by Suzanne Dean. She has a 3 part series coloring this Wee Stamp, called "Silver Fairy". I did not have a full range of colors like Suzanne did but I colored her as close to the tutorial as possible. I absolutely love the way Suzanne teaches. She really breaks it down for you segment by segment. 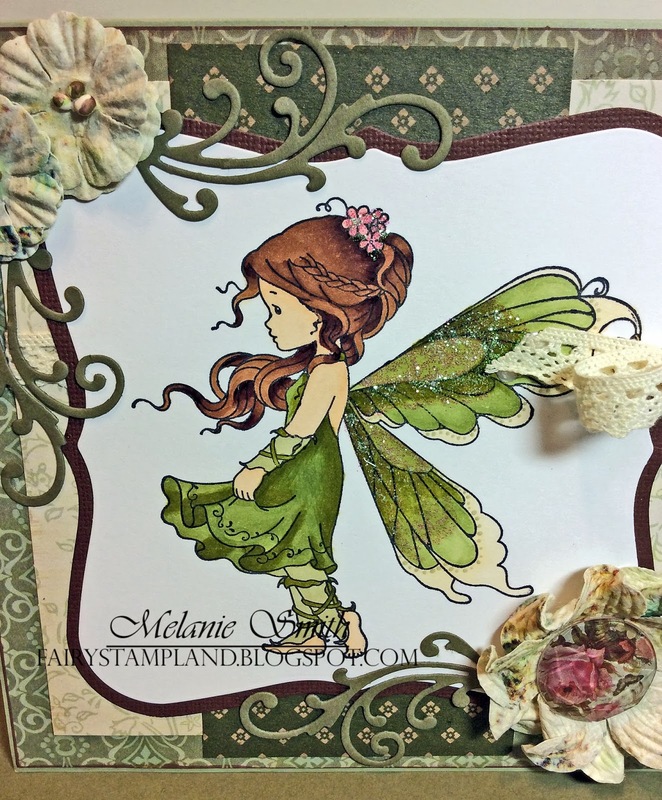 It is only right for a blog named "Fairy Stamp Land" to occasionally have a fairy project. This fairy was such fun to color. With all the ringlets in her hair to the detail of her wings every moment of coloring her was true enjoyment. This blog post is sharing with you my daughter's birthday card that I made for her. Nicholette is 20 years old today and is a full time college student. She also works full time at a hospital so there is a lot of COFFEE in her daily routine. Nicholette is full of life and has an abundance of determination. 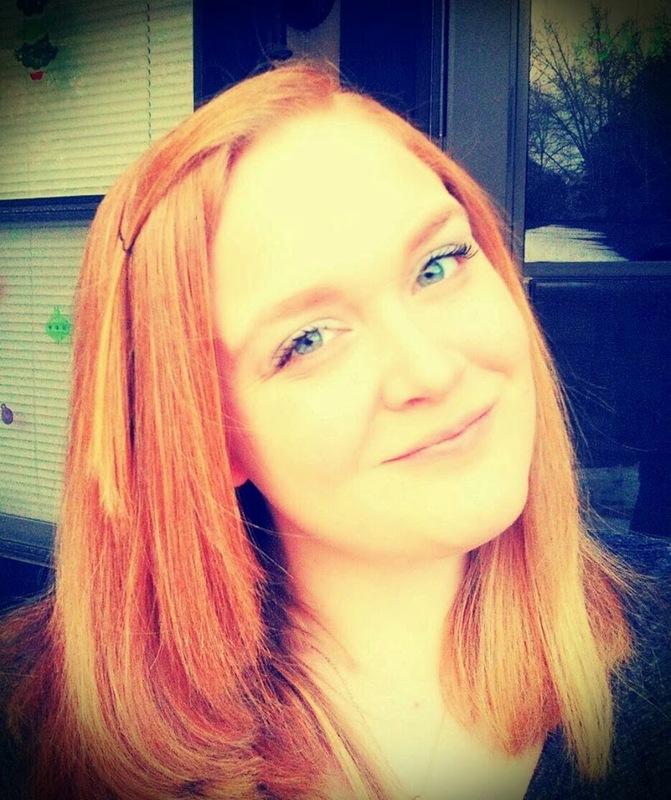 She knows that she wants to be a registered nurse and continues to work hard in school to make that goal of hers come true. She is an amazing lady and one that I am very proud of. Happy Birthday baby girl! 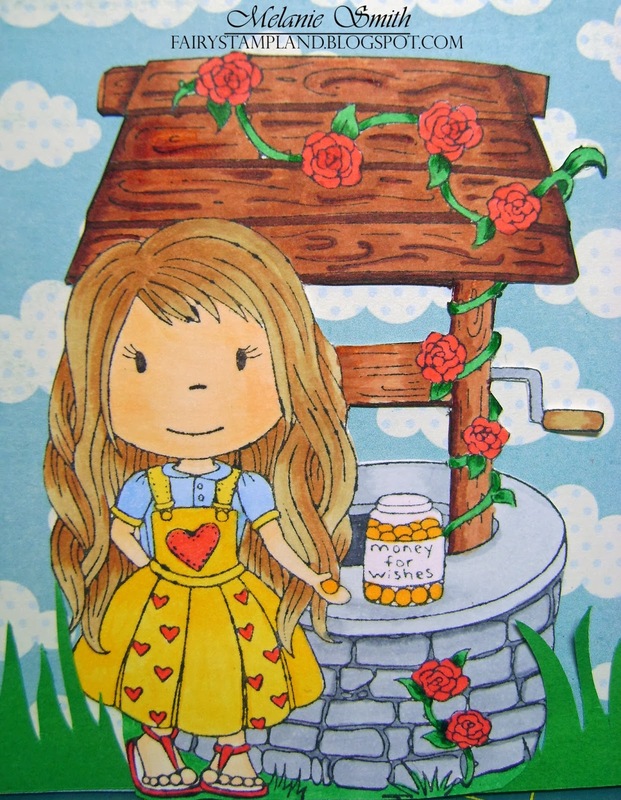 This card features a little red headed image by La La Land Crafts and she is colored with copic markers. She sure does love her COFFEE just like Nicholette does.... Here is my beautiful girl! 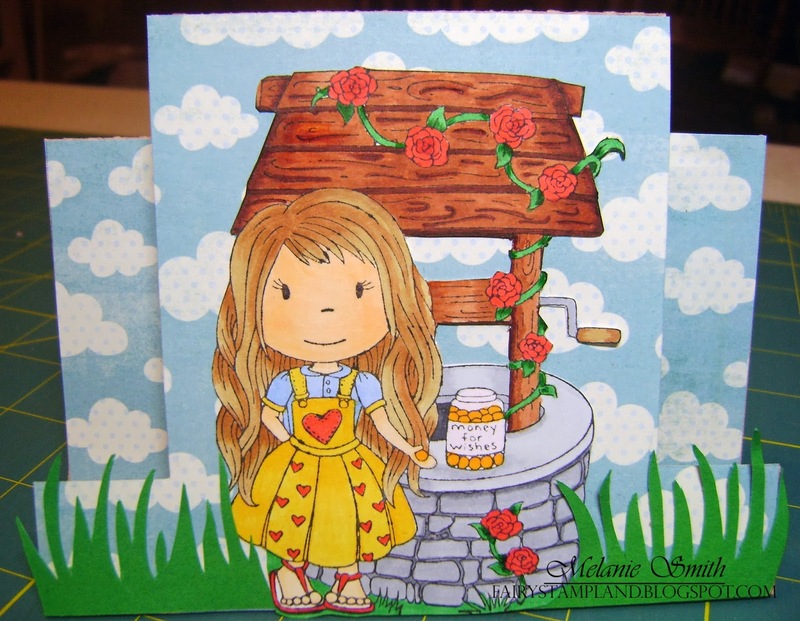 My First Paper Nest Dolls Card - I absolutely ADORE these stamps! While my friend Sedara was visiting I had a chance to make a bunch of new cards. This one here is one of my three favorites and the first one I will be sharing with all of you. This is my very first Paper Nest Dolls colored image. I am completely in love and I cannot wait for my second order of them to arrive. I had fun with a special fold card from the Silhouette America website and totally enjoyed every aspect of creating this beauty. 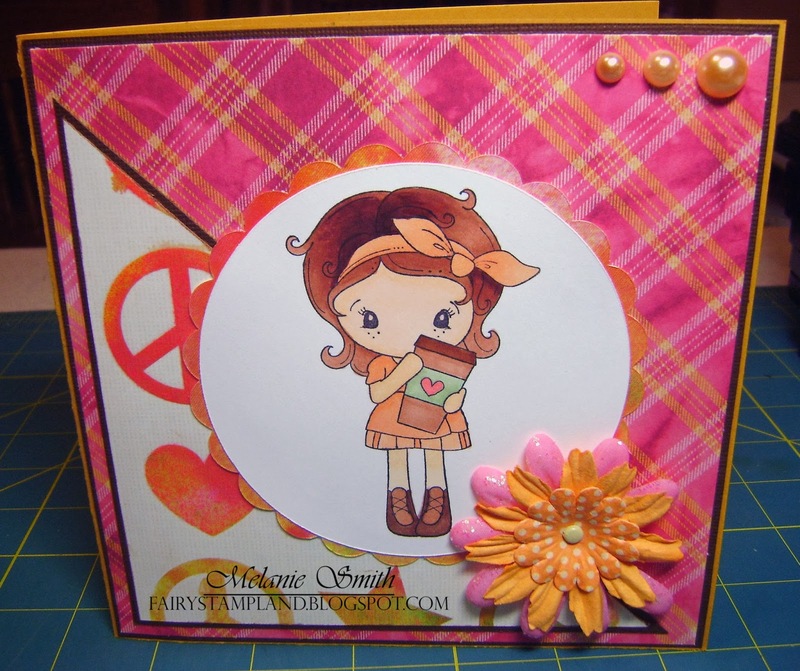 The card is made using Wishing Well Elle Stamp by the Paper Nest Dolls. I colored her with Copic markers and fussy cut her out. 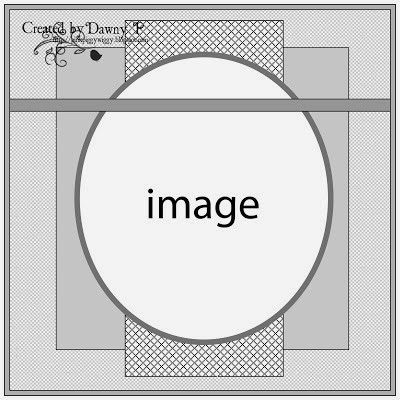 The card base and grass were cut using my Silhouette Cameo cut files #39775 Center panel step card by Lori Whitlock and #1075 Grass. Here is a closer look at the coloring. 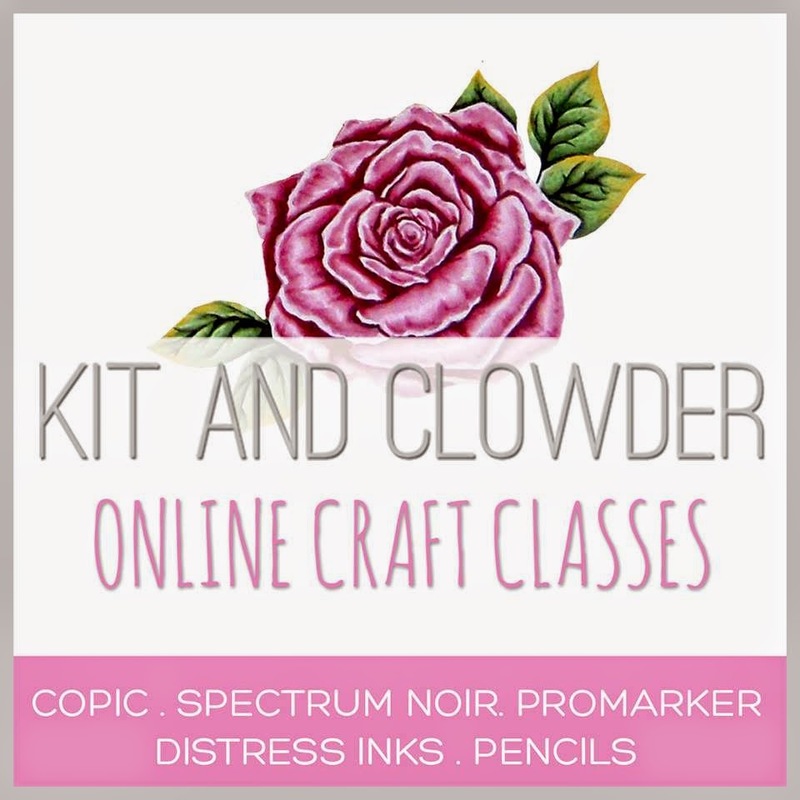 This stamp was so much fun! The Paper Nest Dolls Challenge blog "Anything Goes"
Scrapbook Stamp Society Challenge 34 "Anything Goes + a Heart"